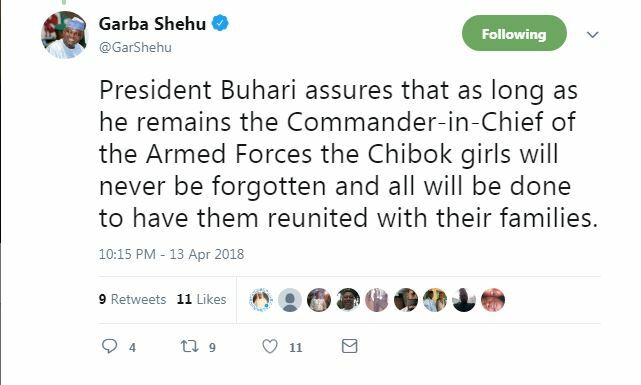 President Muhammadu Buhari says the remaining Chibok girls in Boko Haram captivity will not be forgotten as long as he remains Commander-In-Chief of the Armed Forces. He added that the government remained focused and determined to see the girls return to their homes. Boko Haram had abducted more than 200 girls from the school on April 14, 2014. More than 50 of them escaped shortly after their abduction and the Buhari administration negotiated and secured the release of 103 of the girls. But over 100 of the girls are still being held captive with their parents and the Bring Back Our Girls Group continuing to call on the government to secure their release. 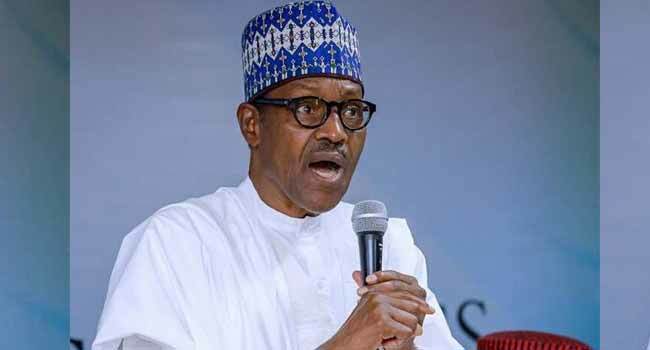 The President, who acknowledged that the process of rescuing the girl had taken long, blamed the delay on a breakdown of negotiations with Boko Haram terrorists. 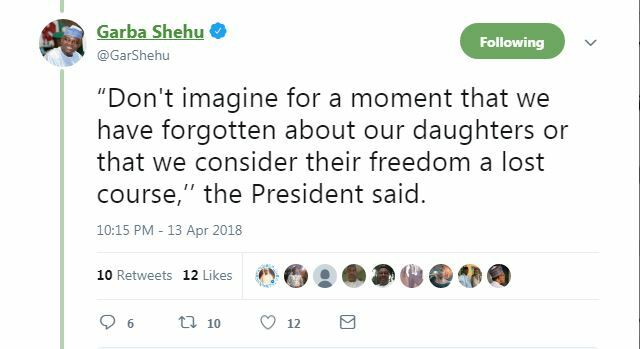 He said, “We are concerned and aware that it is taking long to bring the rest of our daughters back home, but be assured that this administration is doing its very best to free the girls from their captors. Although he noted it was not the news the parents of the girls were expecting, he said it was best to be “as honest as possible” with them. Despite the setback, the President said the government won’t give up. “This government is not relenting. We’ll continue to persist, and the parents should please not give up. Don’t give up hope of seeing our daughters back home again. Don’t lose faith in this government’s ability to fulfill our promise of reuniting you with our daughters,” he said.